A H. yingeri seedling, this plant was registered in 1997 by Mary Chastain of Lakeside Acres Nursery in Tennessee. 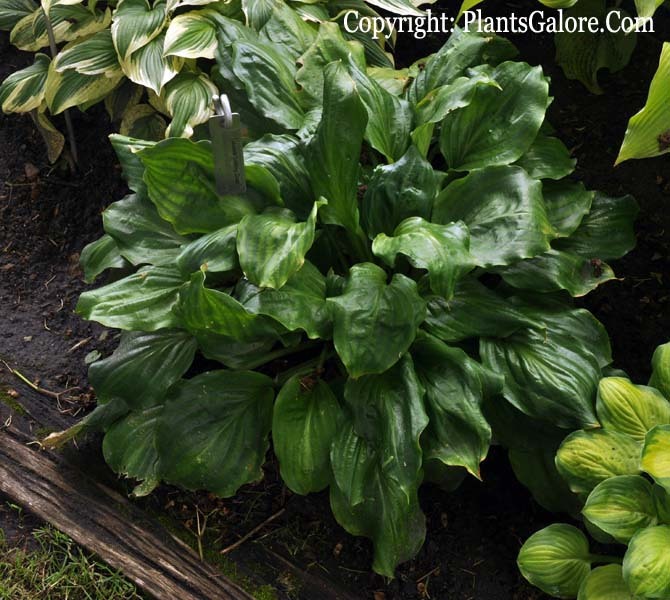 The small size hosta forms a 10 inch high mound which spreads to 37 inches in width with moderately wavy foliage and thick substance. Lavender flowers bloom starting in August followed by viable seeds. According to The Hostapedia by Mark Zilis (2009), "...'Did someone use "leaf shine" on that clump?' might be your first remark when you view 'Lakeside Looking Glass'. Its shininess and dark green color combined with a floppy mound appearance give this H. yingeri derivative an unusual, but very attractive look." 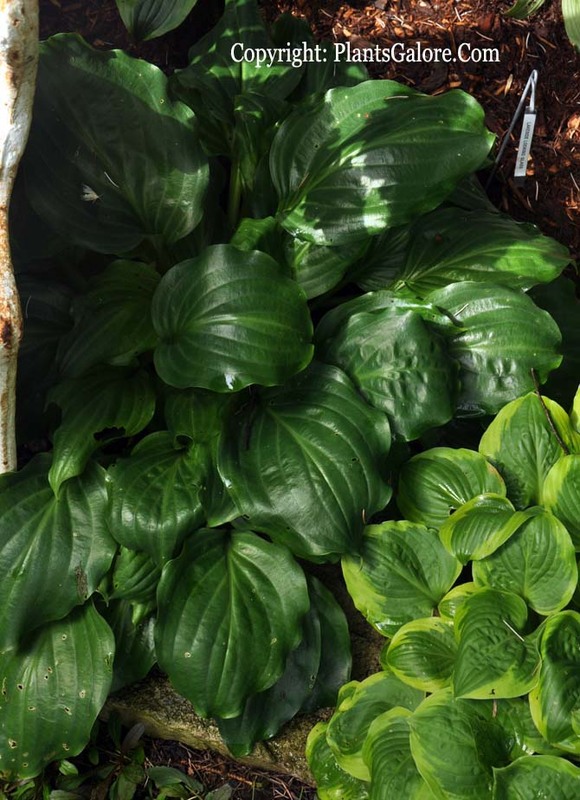 The New Encyclopedia of Hostas by Diana Grenfell (2009) states in its Hosta Hybrids for Connoisseurs chapter: "Can be prone to late spring frost damage in colder climates. Increases rapidly if given moist, heavy loam...Very glossy, lustrous leaves. Green leafy bracts form toward the top of the flower scape, which is slightly purple-dotted at the base. The flower scape, when elongating, presents a star-burst of closely packed bracts, each one shielding an immature flower bud." Similar cultivars include H. 'Lakeside Midnight Miss' and H. 'Treasure Island'.